Life’s been just a little bit tiring around onebitemore HQ. The past week alone has held kids’ camp cooking classes, 30th birthday celebrations (multiple! ), an engagement party (not mine!) and various bits and bobs of dinners and work events and accounting and reporting paperwork piling up around my ears. Needless to say, it’s hard to remember to eat well at times like these and I found myself slipping ever so surely down the path of shoving a half-cooked bowl of instant noodles or still semi-frozen bits of bread into my mouth as I dashed between things-to-do. When I remembered to, that is. That’s the thing about being busy – all of the things that don’t fall on the “URGENT” list get pushed to the wayside until it’s far too late to do anything about them because you should have left for work ten minutes ago. I did try on occasion to get something good happening (in the form of smoothies that I could drink whilst running about) but failed miserably on most counts and often found myself starving at 7pm and wondering where lunchtime had gotten to. I probably shouldn’t have been so surprised when I woke up one morning last week with a scratchy throat, blocked nose and a serious case of the crankies. (I definitely shouldn’t have put it down to “hayfever” and powered on). I was lucky (in some respects) that it was just the crankies and not a full blown cold, though Koji fared far worse than he would have if the case had been reversed, and took that as a sign to get myself well before it was too late. Tell you what, though, a bit of proper eating and a good bit of sleep has done me wonders inside and out. 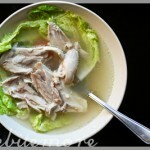 Especially this dish, with the goodness of brown rice (that I have finally figured out how to cook properly – hurrah me! 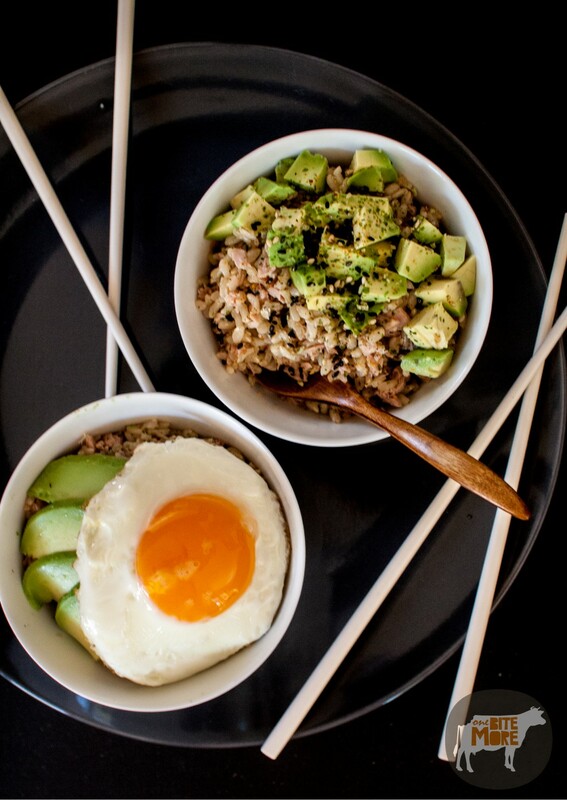 ), creamy avocado, a smoosh of protein rich tuna and a googly egg. It does take a little while to cook, but it’s not labour intensive time. It’s pop-things-on-the-stove-and-then-go-about-life-and-check-on-it-later kind of cooking, which is a godsend as long as you’re a little bit organised. (And it’s far less work than making a three-layered spaceship cake, complete with matching starry night cupcakes and planet-themed cake pops for a certain someone’s birthday). I had this twice last week and am keen to repeat that process in the next couple of days, particularly as the weather heats up and the busy-ness of Spring kicks in. (I have not one, but two weddings to head off to this Saturday and have accordingly planned a date with my bed all day Sunday and into the long weekend). So what are your plans for the upcoming long weekend (in Australia)? And what do you eat when you’re feeling a little run down? Wash the rice and strain it into a cold saucepan. Add 500ml cold water, the soy sauce and sesame oil. Turn the heat up to maximum and bring the pot up to the boil. Once it is boiling, pop the lid on and turn the heat down as low as you can. Leave to simmer with the lid on for 25 minutes. Meanwhile, drain the tuna and flake it. When the 25 minutes is up, drain off any remaining liquid from the rice saucepan and tip the rice back into the saucepan off the heat. 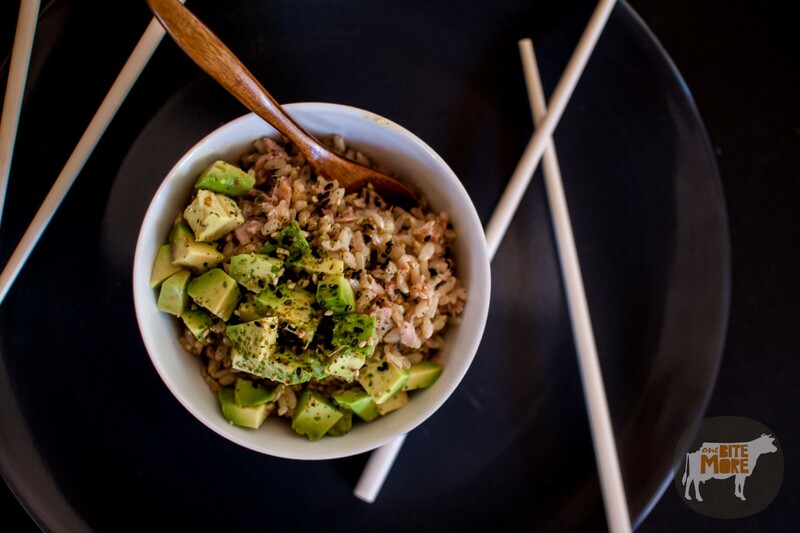 Stir through the rice vinegar, flaked tuna, fumi furikake and white pepper then pop the lid back on and let it sit in the pot for 10 minutes to absorb all of the flavours. 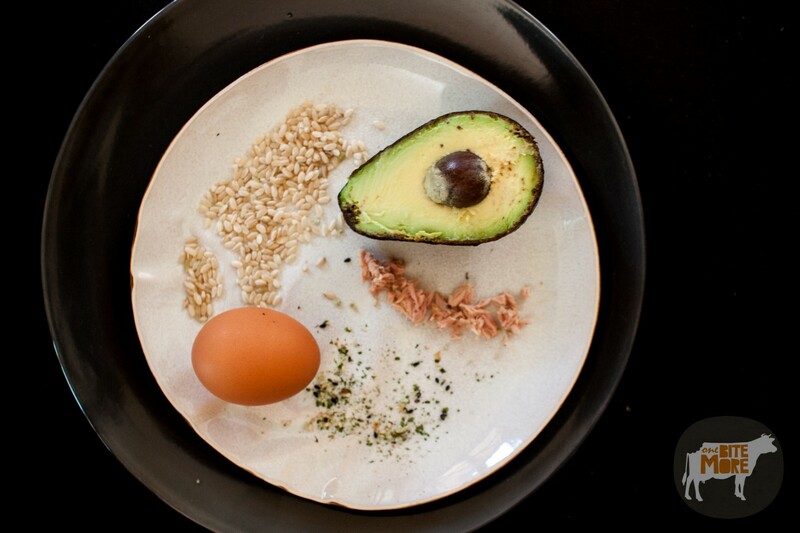 While you're waiting, peel and chop the avocado into small chunks and fry the eggs sunny side up. 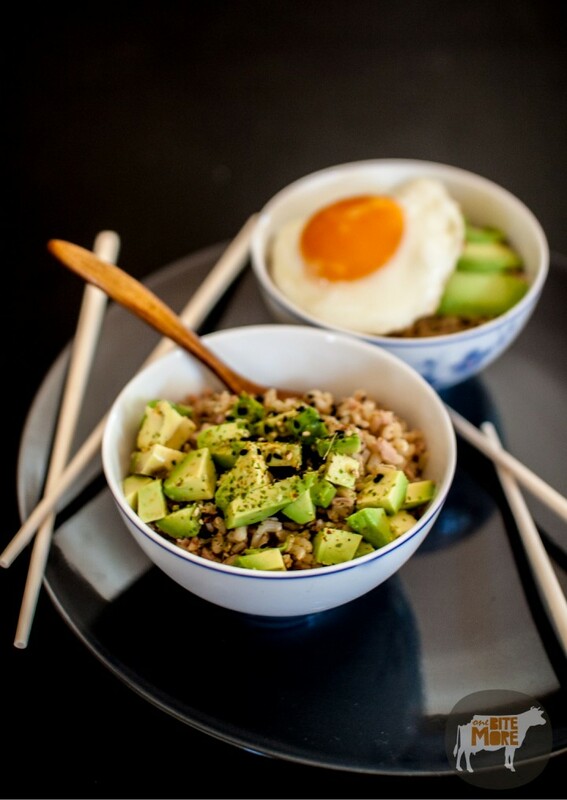 To serve, scoop the rice into bowls and top with cubed avocado and the eggs. 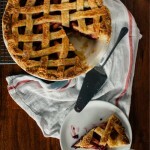 I adore all your simple dishes. It’s simple but I bet explodes with flavour. And this one is healthy too so win-win! 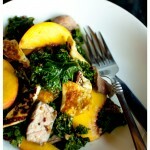 this looks great and is healthy! win-win! cant wait to try it out! Yum! I’m all for healthy and delicious dishes and I love the simplicity of this, Shez. I do something very similar but I switch out the fried egg for hard boiled eggs that I keep in the fridge ( I do a dozen at a time and I dont even have to think about it). I also throw in sprouts and pickled chillies when they are on hand. Its easy enough to always have leftover veggies or extra add ons around to throw together with rice and make a nourishing meal. This was so yummy! This is probably going to be a weekly staple in my home because not only is it cheap and quick to make – but it’s healthy too. I always have these ingredients on hand, which is an added bonus. Thanks for posting this! 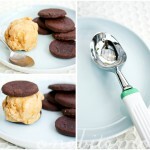 Just made this and it is delicious!! I didn’t have sesame oil, fumi furikake or bonito flakes but it’s so good I’m considering buying these things to keep making it 🙂 The rest of the ingredients I almost always have at home anyways so a good go to recipe, thanks for sharing! 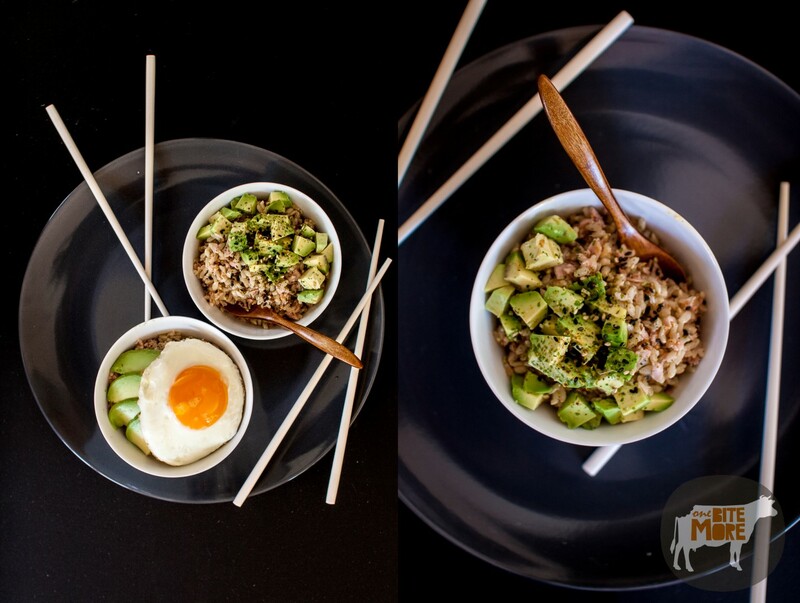 21 Impossibly Delicious Ways To Eat Avocado For Dinner | BulletNova Rocks! 21 Impossibly Delicious Ways To Eat Avocado For Dinner – The Food Lovers! !